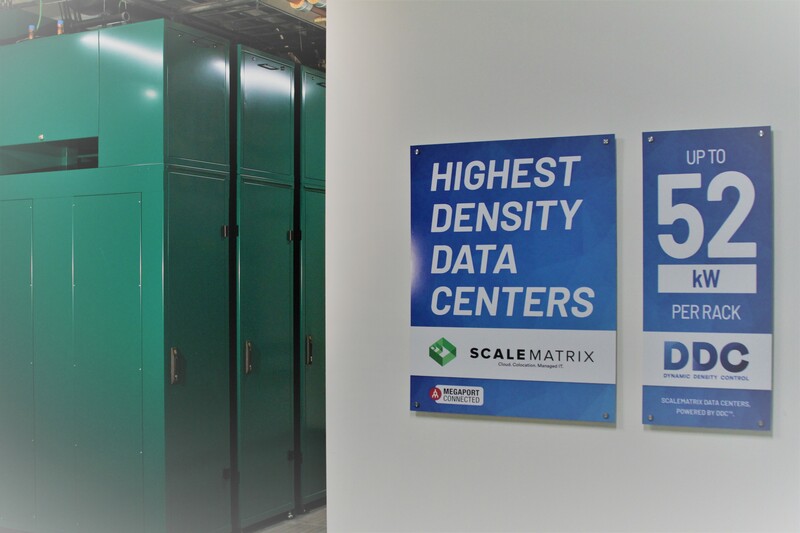 ScaleMatrix, the United States’ leading provider of variable and high-density colocation facilities, announced the opening of its new Seattle facility in partnership with Centeris, a leading data center provider in the Pacific Northwest. Enterprises will get the first chance to see the new, cutting-edge technology on March 14th at an exclusive launch event. 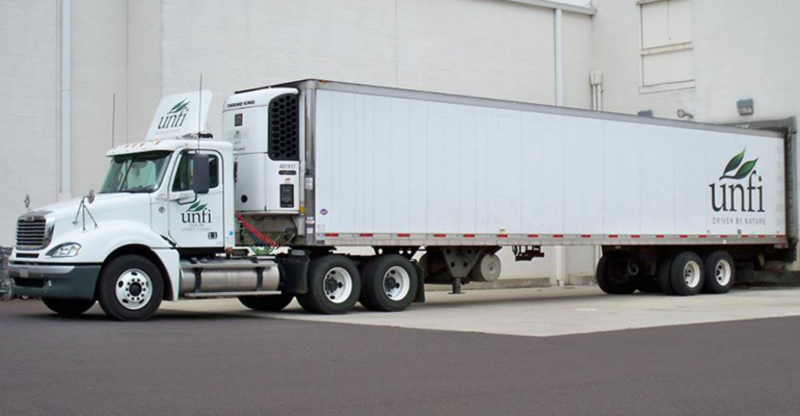 UNFI announced plans to optimize its distribution center network in the Pacific Northwest, including consolidating five distribution centers into a new 1.2 million square foot facility at our 77-acre site in Centralia, WA. O’Keefe Development is the developer of the new state-of the-art facility with construction financing provided by The Benaroya Company, and will enhance UNFI’s product offering and improve inventory management. 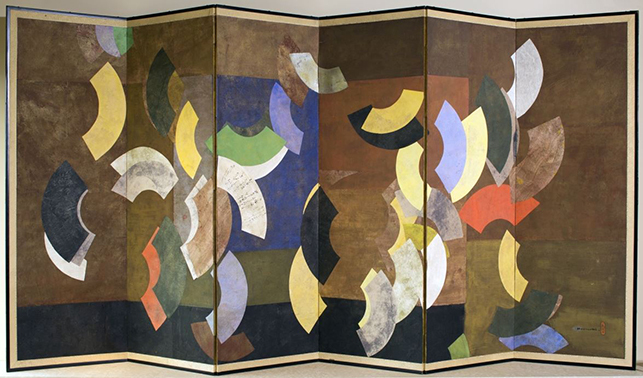 At age 96, Rebecca Benaroya reflects on the journey of her family’s art collection, which was recently donated to the Tacoma Art Museum. The Benaroya Collection has been hailed as one of the most prestigious private collections of glass art in the U.S. 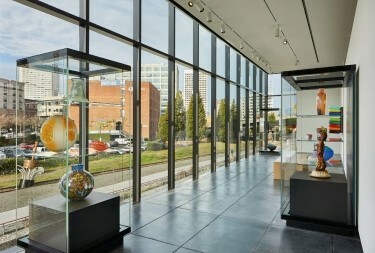 The new Benaroya Wing opened in January, 2019 and positions the Tacoma Art Museum as one of the top five collections of studio glass in the country. The Benaroya Company provided short-term financing to Highline Place, LLC for construction of Campus View in partnership with Highline College Foundation which has a long-term lease. Campus View is open to all students the college serves including international and domestic. 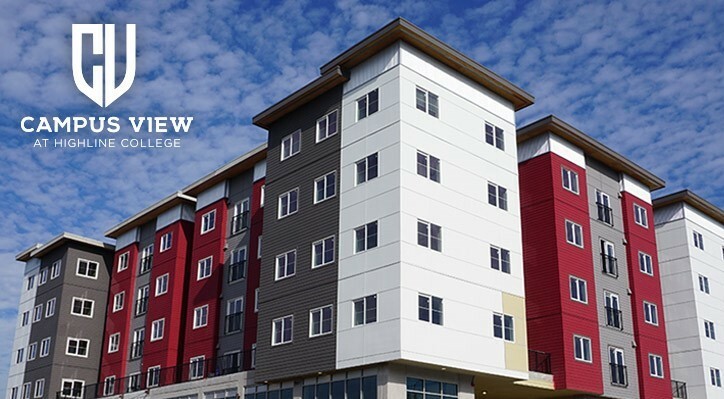 It is located adjacent to the Highline College Campus and features 160-bed, 44 state-of-the-art college 2- and 4- bedroom units complete with furniture on 4 floors, and over 12,000 square feet of ground floor retail space and Highline College office space. The Benaroya Pacific Northwest Regional Logistics Center with SEPA completed and with fast access to the I-5 North and South freeway interchange. 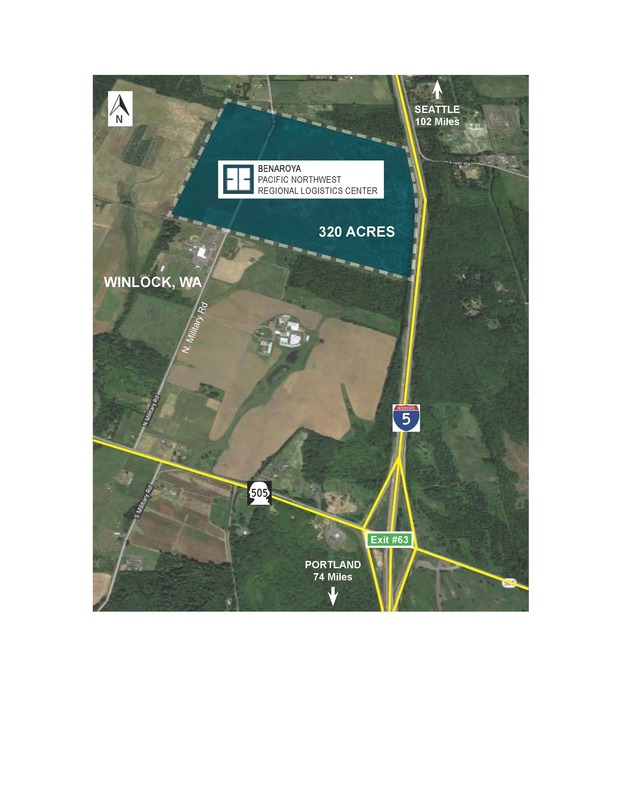 It is one of the last large entitled sites available along Interstate 5 between Los Angeles and Vancouver, BC enabling potential development of up to 5 million square feet of state-of-the-art buildings in a variety of configurations. Originally built by the Jack A Benaroya Company in 1976 and expanded twice, the building was operated as a wholesale gift mart. The Company sold the mart as part of a portfolio sale in 1984. Larry Benaroya/The Benaroya Company bought the building in 2005 which continued to operate as a wholesale mart through the economic downturn. In early 2014, The Benaroya Company started the process of converting the building to Class A Office. 6100 represents the highly successful redevelopment of a regional wholesale gift mart once comprising 100 showrooms to a modern, fully leased Class A Office Building. 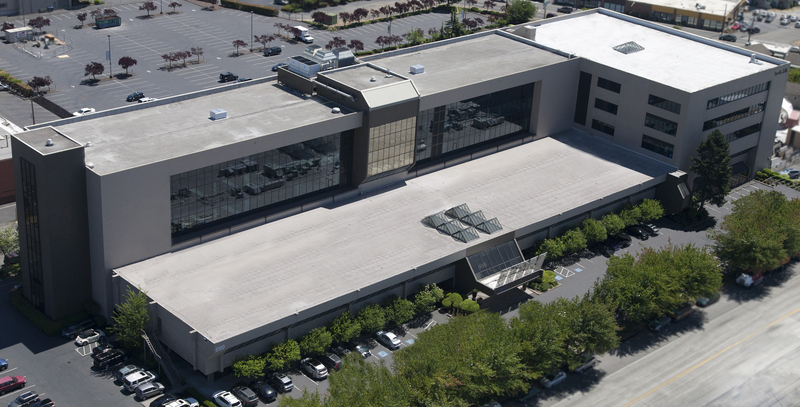 SEFNCO Communications Inc, a leading wireline / fiber deployment construction contractor with operations in several western states, announced today its plans to relocate its corporate headquarters in Puyallup to new larger space at The Benaroya Company’s South Hill Business + Technology Center. 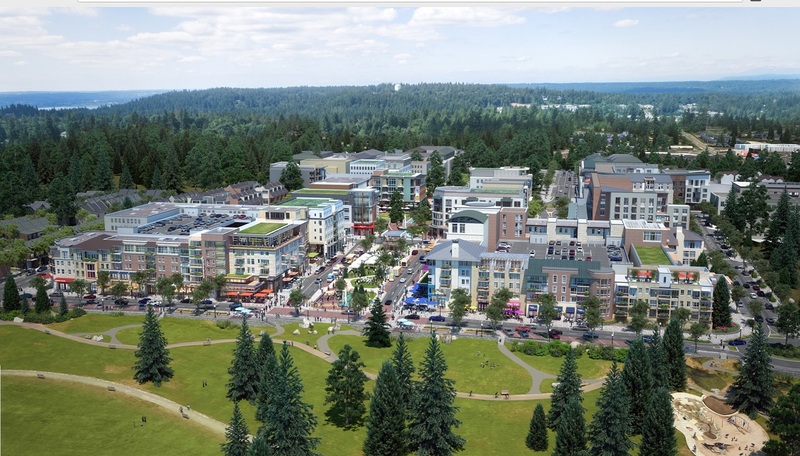 Innovation Realty Partners, LLC has secured $30 million in financing from The Benaroya Company to facilitate its continued assemblage of land located within the Sammamish Town Center district in Sammamish, Washington. CIM Group recently added a roughly 349,000 square foot parking garage in the heart of downtown Seattle to its portfolio. The Los Angeles, California-based company purchased the 11-level Pine Street Parking Garage in downtown Seattle for $57.7 million. CIM made the acquisition with its partner, LAZ Parking Realty Investors, from The Benaroya Company, a Bellevue-based real estate company that operates throughout the Pacific Northwest. A new Taco Bell ‘Explorer’ is expected to open December 4th on the 31,000 sf Milton site acquired from us. Taco Bell is set to open a 2,150 square-foot restaurant next month in Milton. “The new 40-seat restaurant planned will be one of Taco Bell’s newest ‘Explorer’ building design.” according to the Benaroya Co., from which the restaurant chain bought the retail site. The highly energy efficient distribution and cold storage facility in Fife was developed and financed by The Benaroya Company. The new highly energy efficient facility, developed and financed by The Benaroya Company, allows New Sound Transportation to expand their capacity to meet customer demand. The building also serves as the company headquarters and is home to their 100 employees. Centeris has a new partner at its recently launched Transpacific Hub near Seattle. 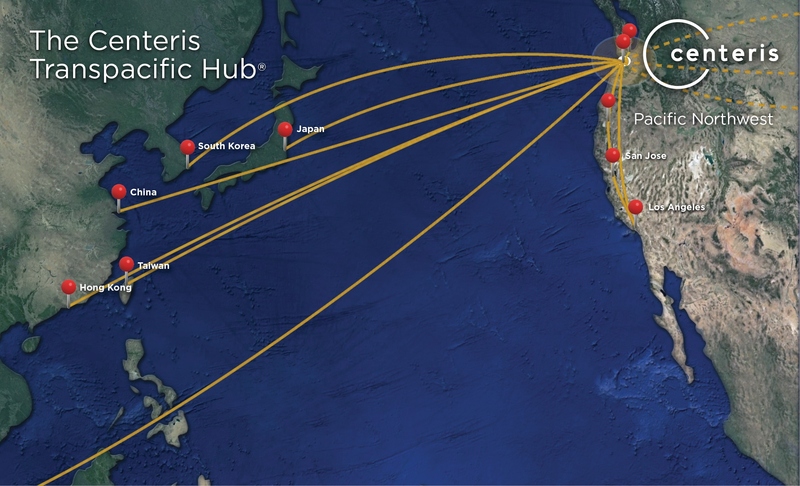 Chunghwa Telecom Global will be using the facility to back up its Banqiao data center in Taipei over the Trans Pacific Express, New Cross-Pacific, and FASTER subsea cable systems. Centeris's facility covers some 86 acres and has 50Mw of green power on tap, and it's relationship with CTG will supply another gateway into Asia for its US-based customers. Centeris, a leading infrastructure provider for mission critical IT and networking systems, announced it has teamed up with Spectrum Networks, a subsidiary of Wave and one of the West Coast’s largest independent Internet service providers, to connect its Seattle area data center campus with all Pacific Northwest super NAPs (Network Access Points), including the Westin, as well as major POPs (Points of Presence) in California. 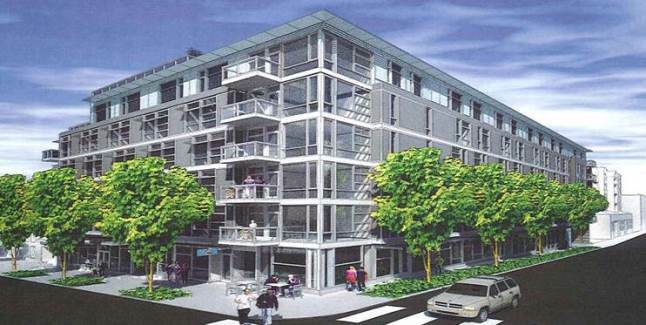 Equity Residential, one of the largest owners of apartment buildings in the country, has acquired a taste for Seattle's Capitol Hill. On Thursday, the publicly traded company that's headquartered in Chicago paid just over $36.1 million for a new 134-unit apartment building, the Three20, according to public records. The property is named for the address: 320 E. Pine St. This year's Excellent 10 Awards - projects selected by the EDB for their positive impact on the Pierce County economy in the previous year - are responsible for millions of dollars of capital investment and thousands of jobs. The winners are: State Farm, BNY Mellon, Niagara Bottling, Western Institutional Review Board, University Place Town Center, Sumner Distribution Warehouse, Tehaleh Community, TriWest Healthcare Alliance, Point Ruston Condominiums, and the new Holiday Inn Express in Tacoma. Sur La Table is moving its corporate offices to a new, expanded location in Benaroya's Sixty 1 Hundred building, where it will occupy more than 50,000 square feet of space. Executives said growth is prompting the move to the Sixty 1 Hundred Building, 6100 Fourth Ave. S, about a half-mile south of Sur La Table’s current 40,000-square-foot Georgetown headquarters. Seattle-based Carena is now partnering with KentuckyOne Health, the largest healthcare system in the state, to allow patients to receive medical advice without leaving their own home. The four million residents in Kentucky under the KentuckyOne Health system will be able to receive 24/7 virtual care via phone or video chat for $35 starting this November. KentuckyOne Health employees can start using the service later this month. It seems new industrial projects are popping up all over the region, almost on a daily basis. Panattoni Development Co. has made headlines with projects in Sumner, Des Moines, South Seattle and the Kent Valley, but others also are planning and completing projects in the region. Even DuPont is getting in on the action. The Benaroya Co. said a pod of food trucks will start serving lunch on April 1 at 6100 Fourth Ave. S., in front of Sixty 1 Hundred Pacific Market Center in Georgetown. Rotating trucks will be there weekdays from 11 a.m. to 2 p.m., including Skillet Street Food, Monte Cristo, Jemil's Big Easy, Grilled Cheese Experience, Kaosamai and Fish Basket. Group Health Cooperative’s new medical office building in Puyallup, became the first in the nation to earn a rating under LEED-HC, earning LEED Gold. The project leveraged the unique credits related to medical facilities to promote both building performance and features to improve occupant health and well-being. The agreements among the team members, including The Benaroya Company (developer), Collins Woerman (architect), GLY (contractor), University Mechanical, Pacland (civil, landscape), Pivotal Lighting, and Engineering Economics Inc. (commissioning authority), were based on performance targets for the whole project, which made for an engaged and focused team. Having blood work done at a doctor's office is no fun, but at the recently opened Group Health Puyallup Medical Center it should be more convenient. A care provider uses radio frequency devices to signal lab and injection services to come to a patient's exam room so they don't have to go to the lab. It's one of the features of the approximately 50,000-square-foot building at 1007 39th Ave. S.E. in Puyallup whose design was tested by patients and providers in a full-scale cardboard mock-up. The decision to buy, build or lease a data center is a daunting challenge that requires a unique combination of financial, IT and real estate skills and resources. You always begin by looking hard for fatal flaws. A lack of reasonably priced power, adequate water supply, or quality fiber provider should disqualify a potential data center or data center site from consideration. Fiber-based communications services provider Level 3 Communications announced on Wednesday that it has extended its network infrastructure in Seattle with a link to the South Hill Data Center. This move comes over a month after Level 3 announced it will acquire Global Crossing in a deal valued at $3 billion. The newly completed South Hill North Data Center in Puyallup, Washington has earned Gold-level certification under the LEED ( Leadership in Energy and Environmental Design) program for energy efficient buildings, the project’s developer said this week. The Benaroya Company developed the South Hill facility, which features 56,605 square feet of raised floor space and electricity powered by hydroelectric and wind sources. The Seattle area's new high-capacity next generation South Hill North Data Center in Puyallup, Wash., has received the Technology Development of the year Award from NAIOP, the Commercial Real Estate Development Assn. The Benaroya Co., which developed and owns the facility, was presented the award at the industry's Washington Chapter Night of the Stars Gala on Nov. 5. South Hill Data Center was recognized for excellence in its outstanding design, quality product, sustainability, and other market criteria. Other technology properties nominated included Microsoft's Studios West Campus. The Benaroya Company, a full-service commercial real estate company, is in the final commissioning stages of the South Hill Business and Technology Center in South Hill, WA, which it anticipates to be fully operational and ready for occupancy in the next two weeks. Its first phase is currently available for immediate occupancy. Pent-up global demand for massive cloud-computing speed and capacity is powering the construction of colossal new data centers, but most are a year or more away from being operational. South Hill Business and Technology Center, a project of The Benaroya Company along with its hand-picked team of gold-standard experts, is in the final stages of commissioning and will be fully operational and ready for occupancy in the next two weeks. Seattle-based Benaroya Cos. has become something of an expert in finding new purposes for the vacant microchip manufacturing plants sprinkled across the Northwest. After selling plants in Idaho and Oregon to a school district and a German solar panel maker, Benaroya is now sprucing up a Puyallup plant that's been vacant for nearly a decade. The project is of keen interest to the city of Puyallup, which is hoping Benaroya will be able to bring in new businesses that will provide the city with more jobs and tax revenue. When Group Health Executives set about designing a new building for their Puyallup facility, they did something they had never done before. They decided to develop in advance a prototype of what an efficient and effective medical facility should look like to meet today's medical needs using lean methodologies. 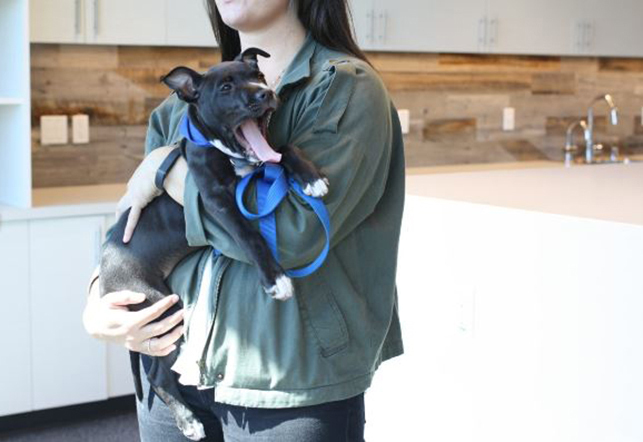 To find out what those needs would be, they leased space in a warehouse and fitted it out with easily movable furniture, mockups of medical equipment, and cardboard walls. Group Health Breaks Ground on New Medical Center at Benaroya's South Hill Business and Technology Center Revolutionary Designed Facility Will Be First Of Its Kind In U.S.
Another Weyerhaeuser subsidiary has been sold, and this time Puyallup landed the new corporate headquarters. Westwood Shipping Lines, part of Federal Way’s Weyerhaeuser for more than 100 years, will be owned by Japan’s J-WesCo, effective Aug. 31. J-WesCo is a holding company formed by a consortium of Japanese stevedore companies, Westwood said in a Web posting last month announcing the sale. Well, that sure was quick. Sparkbuy, the Seattle upstart led by entrepreneur Dan Shapiro, announced today that it has been acquired by Google in a deal of undisclosed size. The news comes just a little more than a month after Shapiro unveiled Sparkbuy, an online service that allows users to compare the prices and features of various electronics gadgets. (TVs, laptops, etc.). A double-whammy in the digital video space today: Avail-TVN, a video services provider that works with companies like NBC, Univision, and brands like Mattel, has announced that it has picked up $100 million in financing led by the Carlyle Group, and it is using those funds to make an acquisition outside of the U.S., buying rival video service provider On Demand Group in the UK from its existing owner, SeaChange International, for $27 million. Avail-TVN says that the deal will make it the largest provider of digital video services in the world. The Benaroya Company announced today that after more than fifty years in Seattle it is moving its headquarters to Bellevue on August 1st. 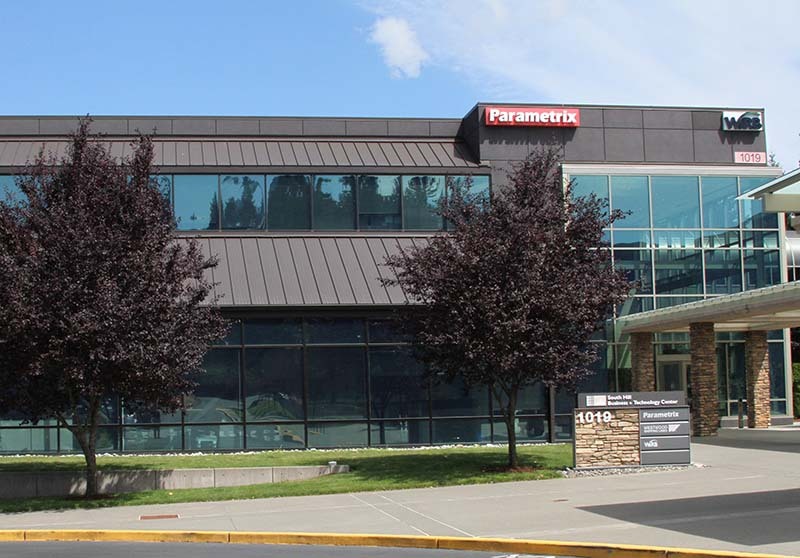 Benaroya will be occupying 8,300 square feet in its I-90 Center South office building located at 3600 136th Place SE in Bellevue. 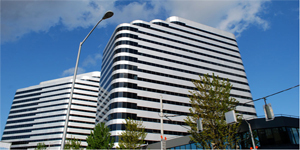 For the past seven years, The Benaroya Company has been headquartered in Seattle's Metropolitan Park West, a 3-tower office complex which it sold in October 2005 to Chicago-based Walton. 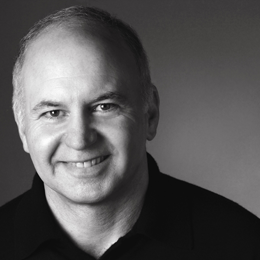 On November 6th, 2009, at its annual Night of the Stars Dinner, commercial real estate executive Larry Benaroya was inducted into the highly distinguished NAIOP-Washington State Hall of Fame. Larry was honored for his longtime contribution of vision, leadership and achievement in the Pacific Northwest commercial real estate industry. The Commercial Real Estate Hall of Fame was created over a decade ago to recognize the people who laid the groundwork for the industry today and have helped shaped the character of the region and the great cities in Washington. Larry’s father, Jack Benaroya was among the first inductees, receiving this prestigious award in 1995. The Benaroya Company purchased Park Place Plaza in January 2008. The four buildings in Park Place Plaza, ranging in size from 3,650 square feet to 7,225 square feet, were sold as separate parcels to individual owner users and an investor and ranged in price from $680,000 to $1.5 million. Occupants of the building include AK Dental, MILAD LLC, NW Staffing, and a private investor. The Benaroya Company is one of the few companies to provide seller financing perfect for those looking for 1031 tax deferred exchange opportunities in an uncertain economy where financing can often be difficult to obtain. The Benaroya Company announced today the acquisition of Park Place Plaza, a seven building office park in Everett, Washington located at 111 S.E. Everett Mall Way, from Winward Shopping Center, a Hawaii General Partnership. A Chicago investment firm yesterday completed the year's biggest buy in the Seattle real-estate market, paying $345 million for four downtown office towers located on the west side of Interstate 5. Walton Street Capital, which has been busy investing $1.8 billion raised from pension funds and other institutions, bought the three-building Metropolitan Park complex, built in the '90s, and the older Park Place building.